"Cancerous tissues are acidic, whereas healthy tissues are alkaline. Water splits into H+ and OH- ions. 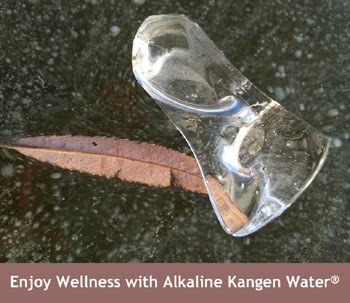 If there is an excess of H+ ions, it is acidic; if there is an excess of OH- ions, then it is alkaline." "All normal cells have an absolute requirement for oxygen, but cancer cells can live without oxygen - a rule without exception." "Deprive a cell 35% of its oxygen for 48 hours and it may become cancerous." 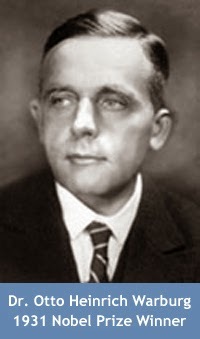 In his work, The Metabolism of Tumours, Dr. Warburg demonstrated that all forms of cancer are characterized by two basic conditions: acidosis (a condition in which there is too much acid in the body fluids) and hypoxia (lack of oxygen). Lack of oxygen and acidosis are two sides of the same coin: where you have one, you have the other. Dr. Warburg hypothesized that the primary cause of cancer is oxygen deficiency (brought about by toxemia). He discovered that cancer cells are anaerobic (do not breathe oxygen) and cannot survive in the presence of high levels of oxygen. If you would like support in alkaline hydration to help reduce excess acidity in your body, please contact us at the Optimal Health Network. To schedule personal support for broader issues of nutrition, colon cleansing, and essential oils, please begin by completing our client intake form.